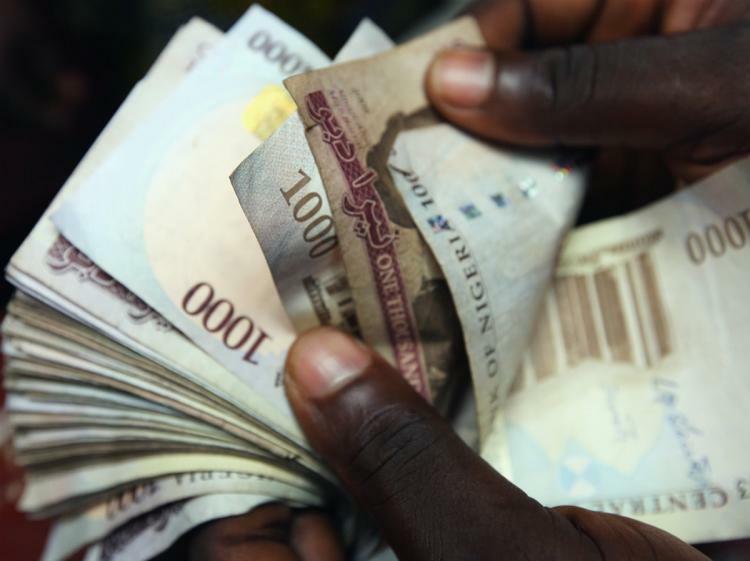 The Buhari government finally made a bold move today to abolish the moribund fixed (pegged) exchange rate regime it adopted last year for the Naira amidst plummeting oil prices in favour of a floating regime where market forces determine the exchange rate. The decision to allow the naira to devalue, and an earlier one to eliminate fuel subsidies, mark a renewed commitment and new willingness to make the tough choices needed to sustain the Nigerian economy. The earlier decision to peg the currency at about 200 naira to a dollar was an ill-fated attempt steeped in 1980s economics that was eventually bound to fail. It created a thriving black market for dollars as many companies were unable to access dollars at the official rate for their transactions. In 2014 Nigeria imported goods and services worth an estimated US$52.3 billion, making it the 52nd largest importer in the world. During the last five years the imports of Nigeria have increased at an annualised rate of 3.2%, from $44.6B in 2009 to $52.3B in 2014. Top import items include refined petroleum products which represent 15% of the total imports of Nigeria, followed by Cars, which account for 3.35%. 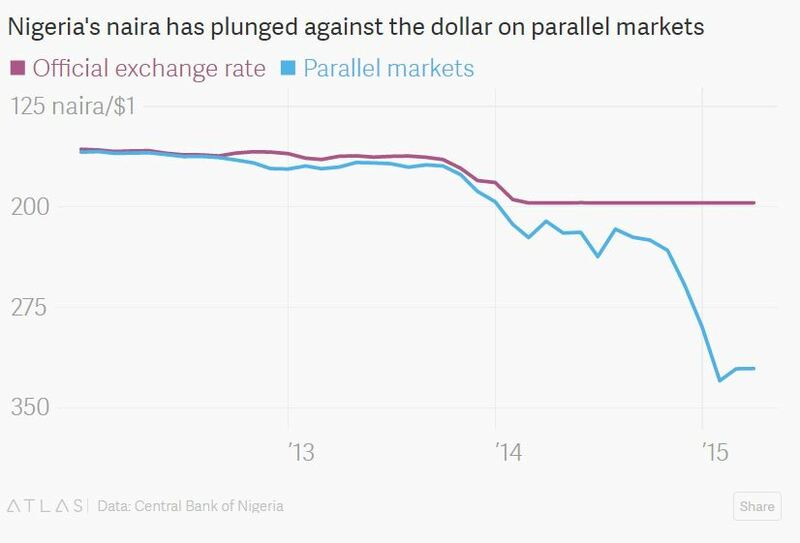 By devaluing the naira, the new policy should close the gap in the current dual exchange rates possibly merging the pegged rate of the naira and its value on the parallel market where it has typically traded around 50% higher since last year. 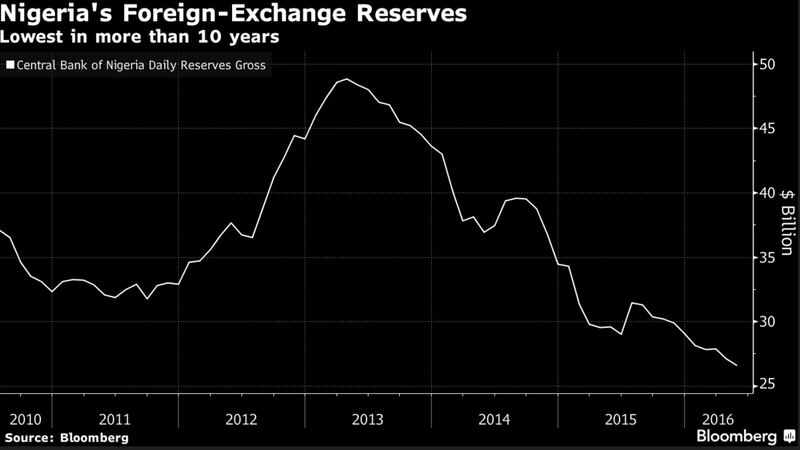 Big implications for Africa’s top economy: (1) The naira will devalue sharply closer to the black market rate of about 370-400 naira to the dollar in the short term; (2) inflation will probably spike; and (3) the Central Bank may have to respond by hiking interest rates to control money supply. However, this should bode well for the troubled giant in the long term as the economy should begin to right itself. The Buhari government needs to pursue aggressive policies to grow the non-oil sectors of the economy particularly in the agricultural and manufacturing sectors by creating the parallel value linkages as well as addressing the supply-side constraints to businesses. Medium term prospects for Nigeria’s economy still looks good as diversification efforts begin to yield fruit.